Good morning! 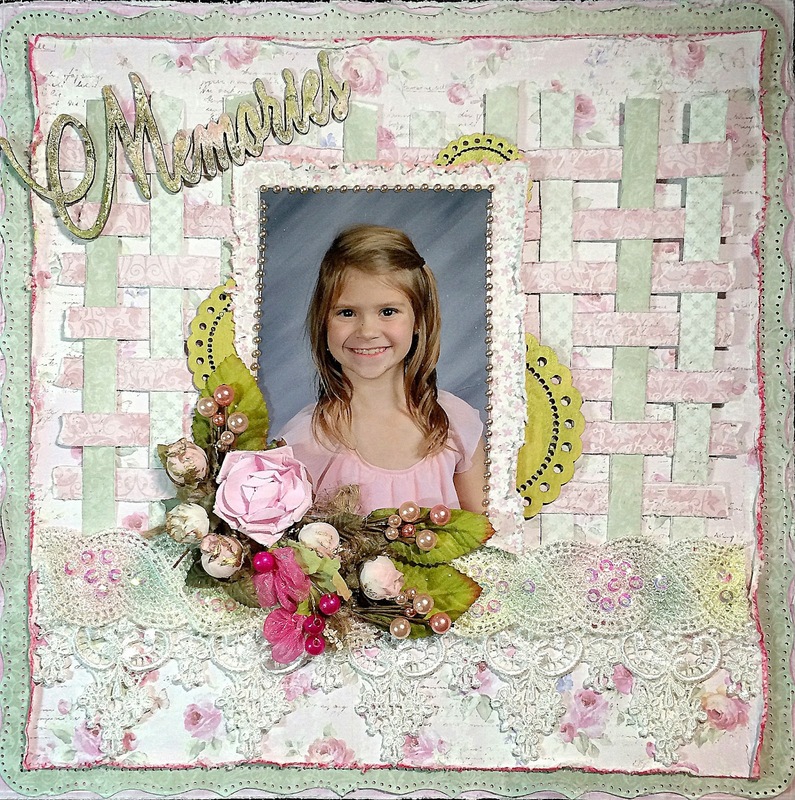 I'm excited to share a light and simple layout I made using some fabulous trims and flowers from the etsy shop. 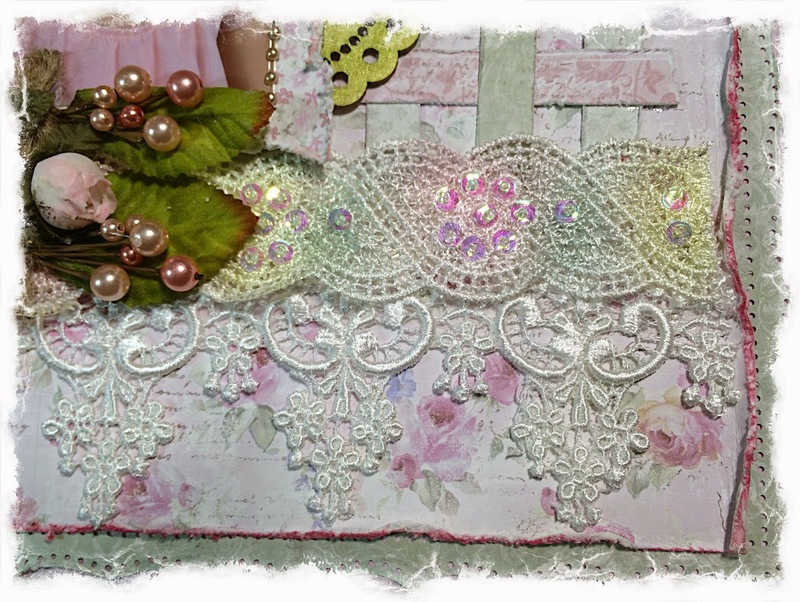 I layered the White Venice Lace (GL-112) and the Ivory Lace Trim with Multi Colored Sequins (LA-129) for added dimension. 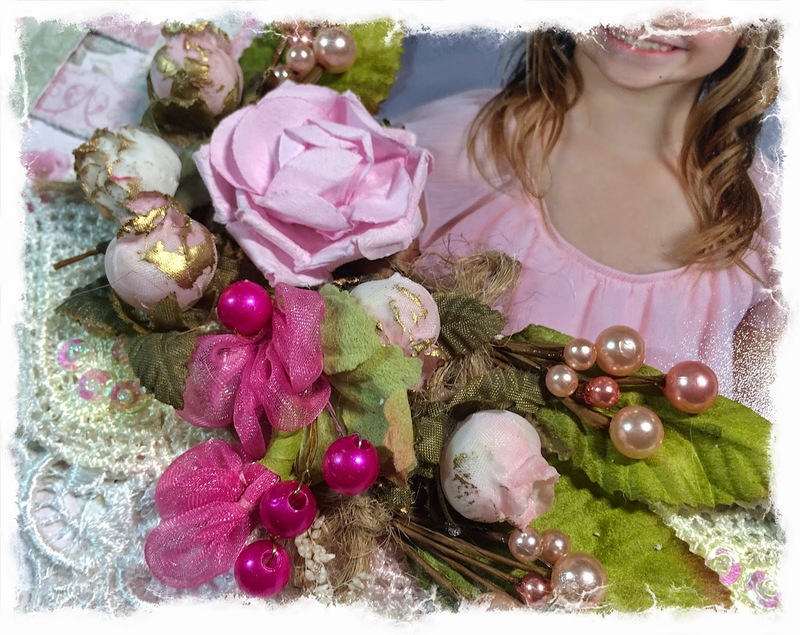 Light Pink Fabric Shabby Chic Roses to accent the beautiful Fuchsia Shabby Chic Flower Embellishment with Pearl Beads (FL-088). Thanks for having a peek and check back soon for more projects using amazing Tresors de Luxe products!